The price of crude oil resumed its slide this week, falling below US$29 a barrel and approaching the 12-year low reached last month. The International Energy Agency is warning oil’s fall has further to go. So what factors suggest the price of oil will continue to drop? In addition, what will be the economic and geopolitical fallout? The answers to these two questions go hand in hand, as we shall see. First, let us recap what is behind the plunge in the first place. In short, supply is up; demand is depressed. Oil production in the U.S. has increased markedly since 2012, in part thanks to new technologies that have made it possible to extract more oil at a faster pace and deeper than was possible even a few years ago. At the same time, the Organization of the Petroleum Exporting Countries (OPEC) has raised its production quota to 31.5 million barrels per day. For many, this decision is largely due to Saudi Arabia, which wishes to protect its market share and limit the development of shale gas in the U.S.
Demand, on the other hand, has not increased as quickly. This is in part due to China’s economic slowdown and the ripples it is sending across the world, while the devaluation of the yuan has made oil more expensive. In addition, due to mild December weather in most European countries, Russia and the U.S. (where it was 73 degrees Fahrenheit/22 degrees Celsius in New York City on Christmas Eve), oil consumption for heating has also been muted. For the geopolitical implications and a key reason, we can expect the price of oil to continue to drop, let us first look at Iran. The nuclear agreement the country signed with the U.S. and other world powers last July was a game-changer, allowing Iran to return to the international market after years of tough sanctions. The extra oil on the market could cause the price of crude to drop by $10 a barrel, according to a report by the World Bank. Iran confirmed on January 18 that the country’s daily oil production of 2.9 million barrels would be immediately increased by half a million, and another million by the end of the year. In other words, Iran’s return will change the current international dynamic, elevating its influence in the region and beyond, potentially at the expense of adversaries like Saudi Arabia. In addition, the rupture of diplomatic relations between Saudi Arabia and Iran following the former’s execution of 47 prisoners (including the outspoken Sheikh Nimr al-Nimr, described by Iran’s Supreme Leader as a “martyr”) suggests that neither country will be willing to reduce production and might even do everything within their power to increase market share. Other oil-producing countries have been hit hard by the 70 percent drop in oil prices since mid-2014. Many countries are affected by the drop in oil prices, and each will likely need to take quick action and implement reforms to avoid a liquidity crisis or even bankruptcy. Venezuela, for one, is on the verge of bankruptcy, and its $125 billion debt load may force a reckoning after the government has failed for years to institute reforms. Russia, whose economy has also been battered by sanctions, is slashing spending and trying to avoid a second year of recession. Its dire situation also shows the consequences of putting off economic reforms, as oil still represents half of its budget revenues. Kazakhstan, Central Asia’s largest economy, risks depleting the fund it uses to invest in the country’s infrastructure and industry. The fund, which was down to $64 billion in January from $77 billion in 2014, could run out within six to seven years as the government withdraws cash to make up for the lack of oil revenue. Norway is also suffering. Statoil, the Norwegian oil and gas company, has already cut 20,000 jobs. Given that Norway’s oil industry employs one out of every nine Norwegians, the country could soon see an increase in its unemployment rate. For Saudi Arabia, even as it keeps production levels high and slowly drains its own reserves, the price drop has led the country to initiate wide scale reforms and begin to rein in the generous water and power subsidies it gives to its citizens. Oil exports make up 90 percent of the kingdom’s income, and the shortfall has created a deficit of $89.2 billion. The government has already increased the price of gas by 50 percent and said that it will reduce other subsidies as well. In addition, a value added tax (VAT) of 5 percent was implemented for nonessential goods. If prices stay low, they may completely transform the Saudi economy as the private sector grows at the expense of the public sector. 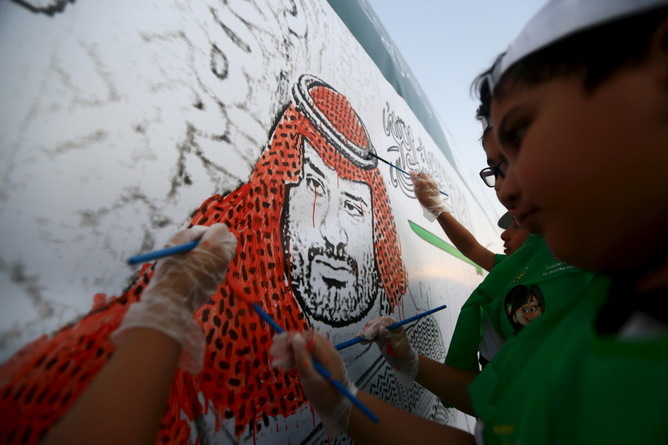 One sign of that is the hint from Muhammad bin Salman, the son of King Salman, that the kingdom’s oil company Aramco might go public and allow outside investors. If this occurs, it would inject badly needed new money into Saudi Arabia’s purses and confirm the desire for radical reform. It would also signal an economic revolution among the major oil companies. The prolonged drop in oil prices is forcing countries to pursue economic reforms – in some cases ones that remake their economies by bolstering the private sector; in others drastically reducing spending just to stave off insolvency. 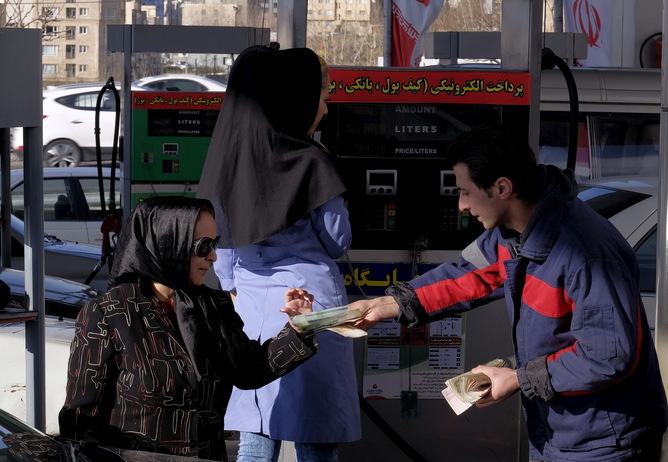 Yet the Chinese economic slowdown, the return of Iran to the oil market and the world’s elevated reserves suggest that supply will continue to outpace demand and keep prices low – and even push them down to $20 a barrel. The result will be nothing short of a reorganization of political power. How it will shake out is still unclear.